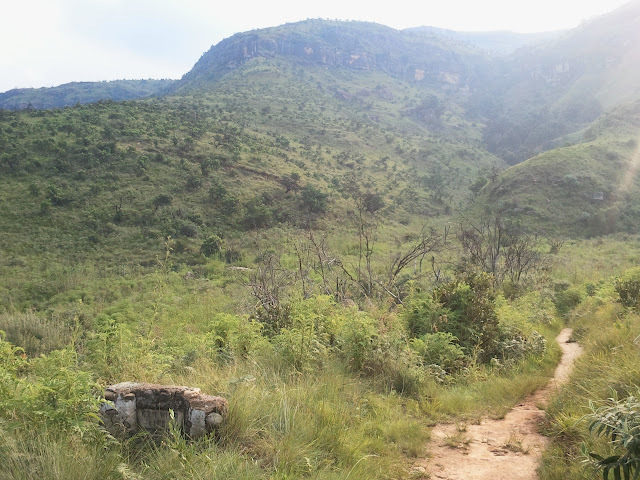 Once again we ended up doing a grade 3 out of 4 hike, to Baboon Rock. It is a rock that looks like a baboon’s head 500m above the hotel. We met an ex-pat couple on the hike, who were taking a one year break after five years working in London. Our guide’s name was Moses and joked about how he was taking us to the Promised Land, at which someone replied that they hope he doesn’t get us lost for 40 years. It was good that we spent our first day at Cathedral Peak familiarising ourselves with our surroundings. It really did help us to make decisions on what we were going to do. 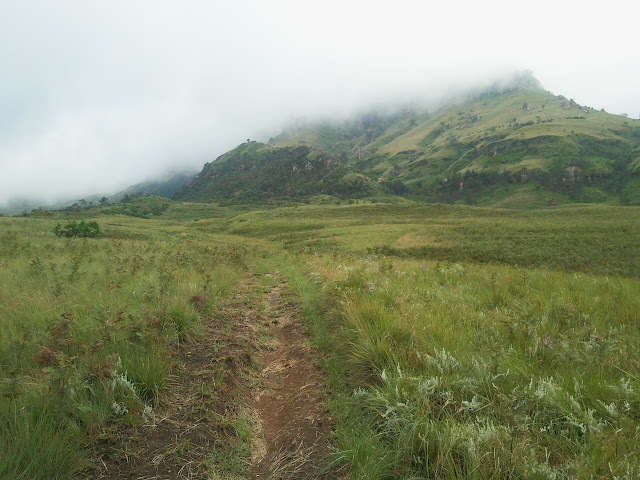 This part of our Drakensberg Trip was nice, but not the nicest. Tugela Gorge was far nicer. We went for a swim and had some tea, where after we decided to walk the 5km running trail they have at Cathedral Peak. Maybe it is a good route in winter when things are dry, but the path was very swampy to even walk it effectively. We might have also been hindered by the fact that we both decided to do it with slip-slops. It was still a relaxing walk and we returned to play some putt-putt (mini golf). By the end of this day we were starting to find that our fitness levels had risen considerably. The next day we decided to combine a bunch of hikes together in a circular route, which would take us around 6h to hike, we did not feel comfortable enough to attempt the 11h return hike up Cathedral Peak.